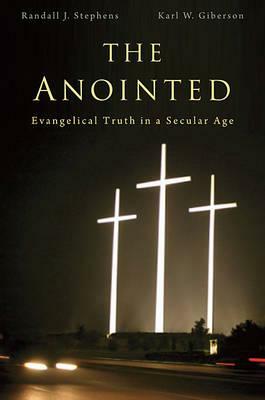 As much as Evangelicalism might seem and deny it, Evangelicalism is a Fundamentalist religion. Some Evangelicals eschew social Fundamentalism but ALL Evangelicals embrace theological Fundamentalism. Bruce is somewhat right in as far as it is true that most evangelicals would affirm many of the same core beliefs as fundamentalists. Indeed, it is the attitude toward people who disagree which has always been a key distinction between evangelicalism and fundamentalism. There are other differences, though, and a wide spectrum on the issue of biblical authority that Bruce mentions later in the quote on John’s post. Roger Olson is a theologian I like a lot, and one of his talents is astute classification and unpacking of labels and movements; he wrote a great post on the difference between fundamentalism and evangelicalism back in April. He comes at the issue as a postconservative evangelical who a lot of conservative evangelicals would like to place outside the fold, but he provides a strong argument for why his brand of evangelicalism is a legitimate heir to the original neo-evangelicals. Some forms of inerrancy – certainly not all of them – which make an idol of a certain uninformed reading of the Bible and reject even evangelical scholarship about historical and cultural background. An attitude of separatism from people who disagree – this is the most important one; a young-earth-creationist who can respectfully disagree with others and not make it a test of orthodoxy is not so fundamentalist. An obsession with predictive prophecy, Israel and/or the Book of Revelation. This is the one on the rise, probably even more so than young-earth creation. The challenge is that even if a pastor is not fundamentalist at all, the members of the church are influenced by so many books, conferences, websites and friends that inevitably some of them will have picked up these ideas. Fundamentalist ideas will sit in the soup of people’s worldview alongside lots of other flavours. So it would be wrong to dismiss anyone as a ‘complete’ fundamentalist on the basis of one extreme opinion or reaction. I’ll be interested in your thoughts and experiences, though I may not be back online for a couple of days. 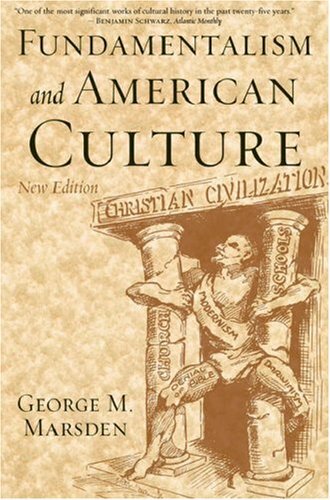 George Marsden Fundamentalism and American Culture New ed. (Oxford: OUP, 2006). This book’s been a page turner for me, partly because of my morbid fascination with fundamentalism and partly because it is well researched and smoothly written. The significance of revivalism as the mindset out of which fundamentalism emerged. Yet Marsden paints revivalists favourably, as a group with a positive agenda for individual piety and lacking the strong emnity toward the academy, liberalism and modernism which was to escalate in the 1920s. The significance of ‘Scottish Common Sense Realism’ as the philosophical mindset of fundamentalism. I encountered this a lot growing up – the idea that the Bible (and the world) made ‘plain sense’ to any common person with the willingness to read it correctly. It was easy to hold this kind of approach in the early 19th century when there was what Marsden calls a ‘broad evangelical consensus’; everyone a believer knew probably did read the Bible and the world in the same way. But the increasing splintering of Protestant Christianity and non-Protestant immigrants made the consensus harder to hold up. You could walk into many churches in Perth today and find this mindset, though. No need for an understanding of culture, genre and context – just believe what it says. The phrase ‘let go and let God’, which was surely on my fridge as a child at some stage, has been kicking around for over 100 years. One of the revivalists Marsden discusses may have coined it. In the USA during WWI, within Christian circles the loudest opposition to the war came from premillennialists; while the loudest support came from liberal postmillennialists who felt that victory could move the world one step closer to lasting peace. Those premillennialists may not have embraced the Left Behind series.